There is something about mashed potatoes that is so comforting and just feels like a hug in a bowl. My grandmother used to make mashed potatoes every Thanksgiving and she would put somewhere along the lines of five sticks of butter in them (! ), which explains why they were so decadent and delicious. My method for making mashed potatoes is simple and uses quite a bit less butter than my grandmother's recipe, but I can promise that you'll have creamy and perfect mashed potatoes time and time again. 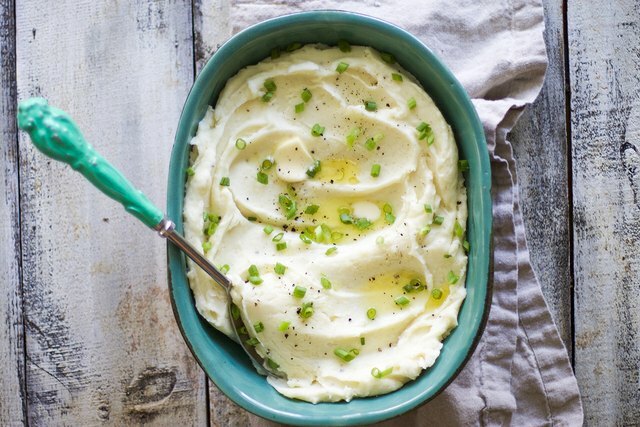 Whether you are whipping up mashed potatoes for Thanksgiving this year or just want a fabulous side dish on your dinner table this week, these mashed potatoes will come out just the way Grandma used to make them! Peel your potatoes and rinse thoroughly. 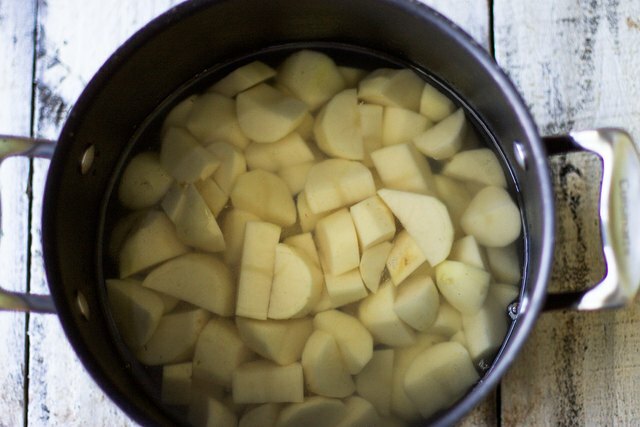 Dice the potatoes in 1-inch pieces and place in a large pot and cover with cold water. Bring the potatoes to a boil over high heat and let cook for about 15 to 18 minutes until the potatoes are fork tender. Once the potatoes are tender, strain the potatoes in a colander and immediately place back into the hot pot to rid of excess liquid. Place potatoes in a stand mixer's bowl or leave in the hot pot if using a hand mixer. Add the heavy cream or milk, butter, salt, pepper, and garlic salt to the potatoes and mash the potatoes on a medium speed, gradually getting higher until potatoes are smooth. Start with 1/2 cup of cream or milk, and then add more if needed for consistency. Taste test the mashed potatoes and add more salt and pepper if desired. Spoon the potatoes into a serving dish and top with green onions and more butter if desired. Serve immediately. If not serving potatoes right away, place the mashed potatoes in a glass bowl over a smaller pot, creating a double boiler, that has an inch of warm water in it. Cover the potatoes and let sit to keep them from getting dry. This dish is creamy, rich, and oh-so-satisfying! 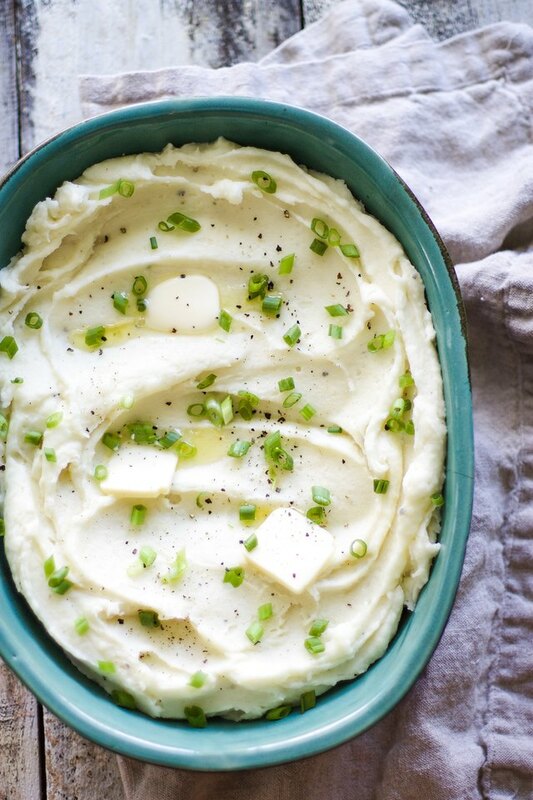 You are going to love making mashed potatoes that taste this amazing!